We use 100% cotton fabrics for the inner shell and polyfill inside the blanket which makes the blanket the most comfortable one you’ve ever experienced. We use 100% non-toxic, hypoallergenic, odorless, silica beads to weigh our blankets. All beads are sewn into compartments throughout the blanket to keep the weight properly distributed. Highest quality construction by skilled sewing professionals. Compared with conventional blankets, our blankets work perfectly with heat distribution and you will not get overheated during the warm months. 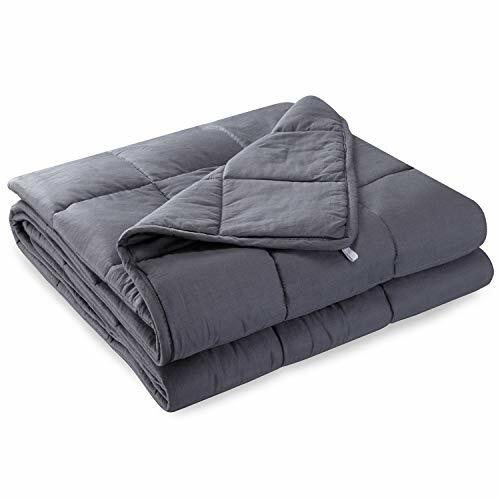 1, The weighted blanket is very heavy in wet, we suggest purchasing the Anjee removable duvet cover for easier cleaning. 2, Machine washable. Hang to dry inside or outside. 3, If dirty, you can also spot clean it.